Is your third grader struggling with punctuation? Comma usage abides by a distinct set of rules, and apostrophes can be a nightmare! Being able to tell the difference between a possessive and a contraction can get tough, especially when we're dealing with words like whose vs. who's and its vs. it's. 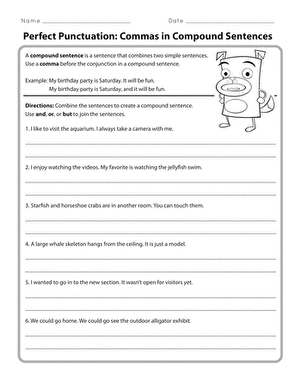 Give your third grader a hand with this set of extremely helpful worksheets. 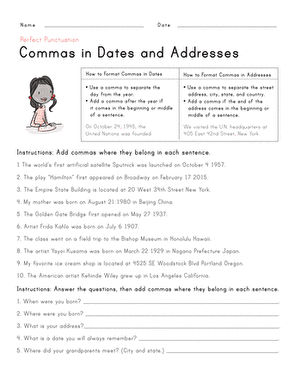 Give your third grader extra comma practise with this worksheet that asks her to combine two sentences into one using a comma.